Underwater Explorers, a Dorset based dive centre, established a Facebook initiative called ‘Chesil Beach Watch‘ a couple of years ago. It is a fascinating page to regularly dip in and out of because you get daily updates about the famous beach. Yesterday – Saturday 9 March – Izzy Ismet reported that it was not a good day. Lost and discarded nets and other floating rubbish had washed up into the cove and a Gannet had got entanged in it. A prime example of the menace that haunts our oceans at Chesil Cove today. It was obvious to all that the Gannet was beginning to struggle and suffer, so Izzy Ismet donned his drysuit, grabbed his snorkelling gear and paddled out to the debris. Ismet carefully removed a fishing net noose from the birds neck. The Gannet is now being treated by conservationist and wildlife activist Derek Davey. Balloons are real hazard to horses. In March 2017 a thoroughbred called ‘Fiesty’ fatally choked on a Mylar balloon. She panicked and bolted through a gate, and broke two legs and her neck. 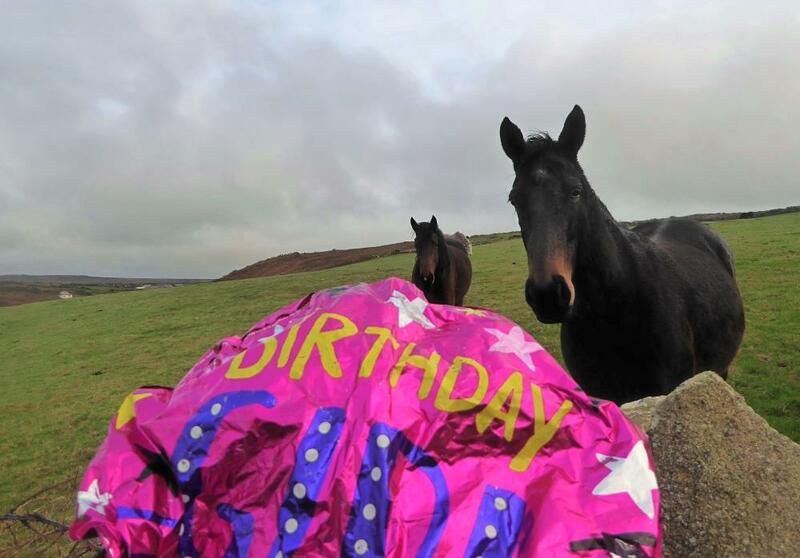 Friends of Portheras Cove in Cornwall, England have today (Friday 18 January 2019) reported on social media that they successfully intercepted a balloon just before it was blown into a field of horses. We had to sprint across the field to catch this – this is the first one we’ve managed to intercept before it hit the livestock fields! No wonder turtles eat balloon debris – this looks just like a jelly fish. This is not the first time that balloon debris has been recovered from the picturesque cove. 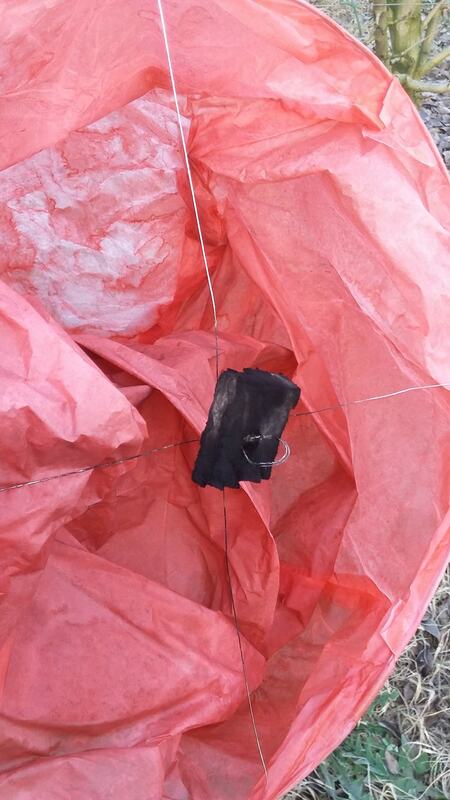 ‘The Friends’ posted two more images of balloons they had recovered. 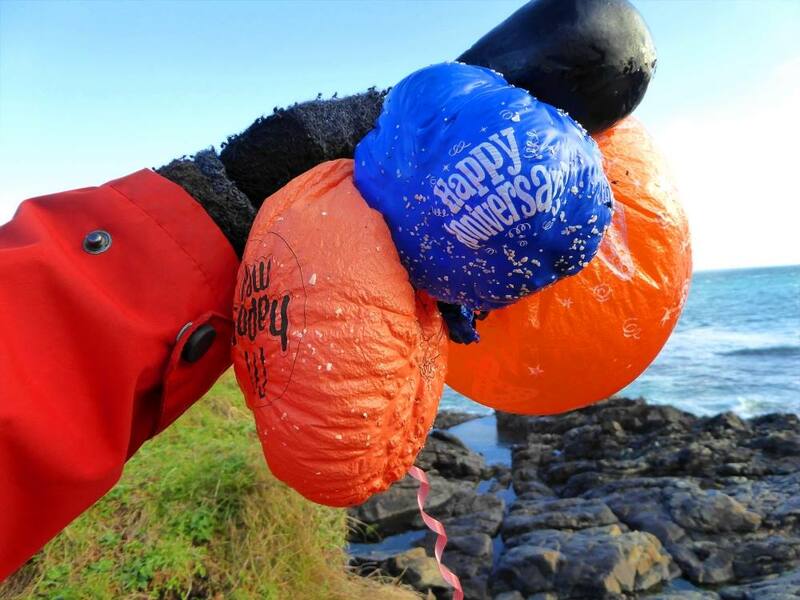 We find so many [balloons] washed / blown ashore here – people don’t realise the very danger they post to our wildlife. It is also not surprising that marine-life such as turtles will eat a floating balloon. Turtles consume jellyfish, and a translucent balloon floating on the sea can look a lot like a jellyfish. Balloon debris and plastic rubbish is a massive hazard for turtles. Whilst everyone thinks balloons are fun – adults might not admit it, but they love them as much as kids – it is time to update your marketing toolbox if you use balloons. It is no longer environmentally or socially acceptable to get a few hundred helium filled branded balloons, and use them to decorate an event or give them away. 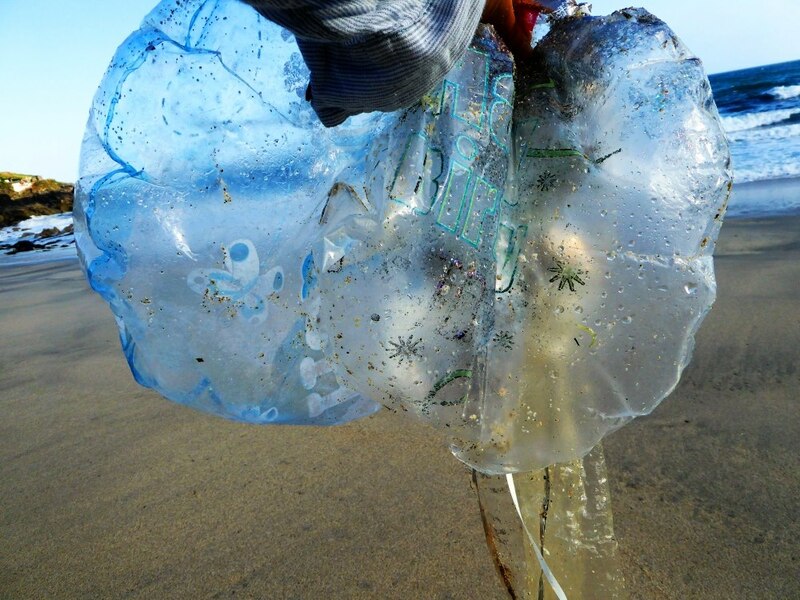 Invariably some of the balloons will end up floating off and they post a real threat to marine creatures and land animals alike because they can accidentally ingest them, or become tangled in the plastic. Why do we always have to count on luck where sky lanterns land? Lucia Cavazzuti had an ugly start to her day this morning (Saturday 5 January 2019). She found a spent Chinese Lantern just 3 mt / 10 ft from hay bails, and 90 mt / 300 ft from her stables and fodder shed in Carpi, Italy. Cavazzuti highlighted on social media that the sky lantern had two thin metal wires that could have easily ended up in her cows fodder if she was not so vigilant. Cavazzuti’s fears are justified. A farmer in Northampton, UK had two cattle die after suffer from internal bleeding after eating wire in silage, whilst a farmer in Cheshire, UK had a prize Red Poll cow (Underhills Sprite) suffocate after the wire frame from a Chinese lantern ruptured the beast’s oesophagus. Sadly many people are unaware of the potentially deadly consequences of the release of sky lanterns can have for wildlife and other animals. Cavazzuti’s voice joins many others asking when sky lanterns will be banned.